Nanga Parbat Camp 4 (7200 meter) established and Summit bid starts on Friday 2 a.m.
Nanga Parbat and K2 are only two 8000ers, which are never climbed in winters, both lie in Pakistan. Significant progress on Kinshofer route has been made today by Italian climber Daniele Nardi, Spanish climber Alex Txikon and Pakistani climbers Muhammad Ali Sadpara and Muhammad Khan. 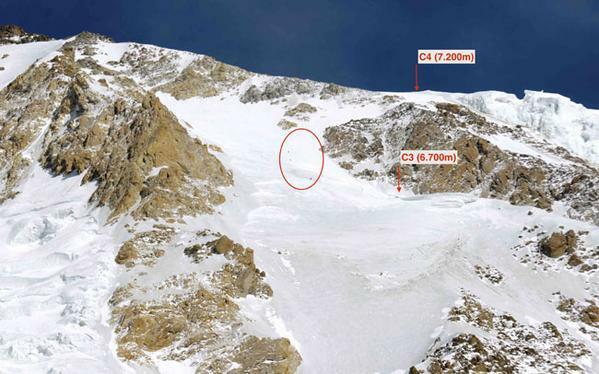 They established camp 4 at 7200 meters on Thursday (March 12, 2015), from this camp they will launch attack on summit on Friday (March 13, 2015) at 2 a.m. local Pakistani time. It will take them around 12 hours to reach the summit from camp 4, weather is favorable, wind is holding around 25 Km/h and chill level on Friday will stay around -50 degrees. First contact was made by base at 7 a.m. in the morning, It was informed to climbers that wind will not be strong anymore and weather will hold, which gives them real chances to launch attack at summit. It was revealed by Alex that he could only sleep around 4 hours last night in camp 3 at 6700 meters, wind was shaking the tent all night. The day is sunny but it is too cold in camp 3, even a little winds makes us feel too cold. Second contact was made at 10:30 a.m. Alex informed base that Muhammad Ali Sadpara and Muhammad Khan has already left camp 3 with light backpacks, they are only carrying rope. They will fix rope from camp 3 to camp 4, Daniele Nardi and Alex Txikon will follow them carrying weight around 20-25 kg each. Alex told base that around 7 hours climb was on their way, fatigue and altitude have started to show up, they will move slow, climb is less technical than previous days but its physically demanding and testing psychological strength of climbers. There was less blue ice in today’s climb, the route from camp 2 to camp 3 was all about blue ice pitches which made climb very difficult. Today climb is less difficult, but altitude is all over us, We move slow to save strength for tomorrow. They reached camp 4 in around 6 hours, 500 vertical meters from camp 3 to camp 4. Next contact was made at 4:40 p.m. Pakistani time, when Alex informed base that we are feeling good but we are carrying too much weight. This was the point when Muhammad Khan decided to turn back, he said my legs cannot go on anymore and wanted to return to base camp today (March 12). 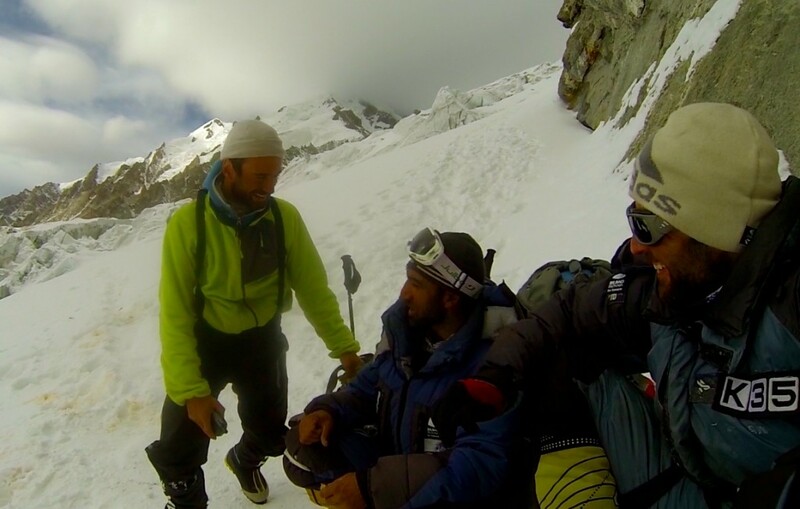 The main reason was lack of acclimatization for him, Alex, Ali and Daniele had already spent a night at camp 3 (6700 meter) in second rotation, Muhammad Khan had not, probably it was altitude forced him down. The last contact was made at 6 p.m. local time, when Alex informed base that camp is ready, they drink water, eat and sleep. They will sleep some hours and start attack on summit at 2 a.m. on March 13th. The weather is good for summit day, hopes are high. If they reached summit, it will be first ever winter summit of Nanga Parbat. Nanga Parbat can also become part of this list.